• Transfer and Backup Contacts, Photos, Music, SMS, and more on your iOS & Android Devices. 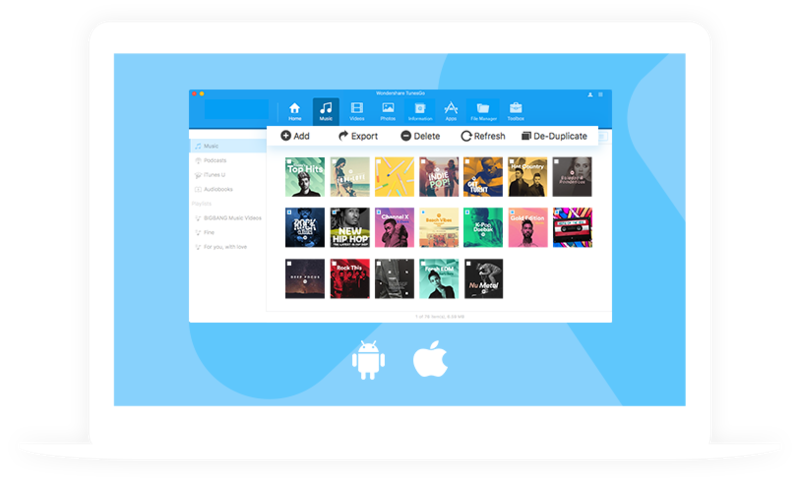 • Fully compatible with iOS 12 and Android 8.0. Add, delete, preview photos and add photos to album, etc. 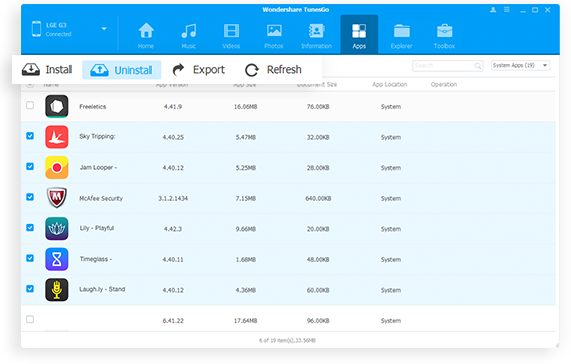 • Free transfer and browse all the files and folders on your devices. Enjoy all the benefits of rooting your Android - remove ads come with your Android apps, uninstall pre-installed apps, etc. • Unintall pre-installed Apps or bloatware. TunesGo features a wide variety of specially designed functions to make your mobile life simple and straight-forward. Transfer songs, playlists, and other iTunes media to iOS or Android devices. Transfer songs and other media from your iOS or Android devices to iTunes Library. Fix iPhone, iPad and iPod which can't be recognized by iTunes. All purchases for TunesGo are 100% clean with a 30-day money back guarantee, 1to1 support, and free lifetime updates. Thanks! I manage to transfer my iTunes playlists to my cool new computer. It really works well. TunesGo helps to root my device in a simple process that also requires only one click. Supported OS: Windows 10/8/7/Vista/XP; Mac OS X 10.8 or later. Mac 10.14 (macOS Mojave) compatible.